The second presentation of Tommy Hilfiger at the Bread & Butter fair should in no way be inferior to the first one, despite the winter weather. Since the Photoshooting of the entire advertising campaign had been realized in the New York club called „Dunhill“, the club theme was a guiding theme of the presentation period. Accordingly, presenting the new collection was only part of the total production. The focus was on a „real“ club experience. 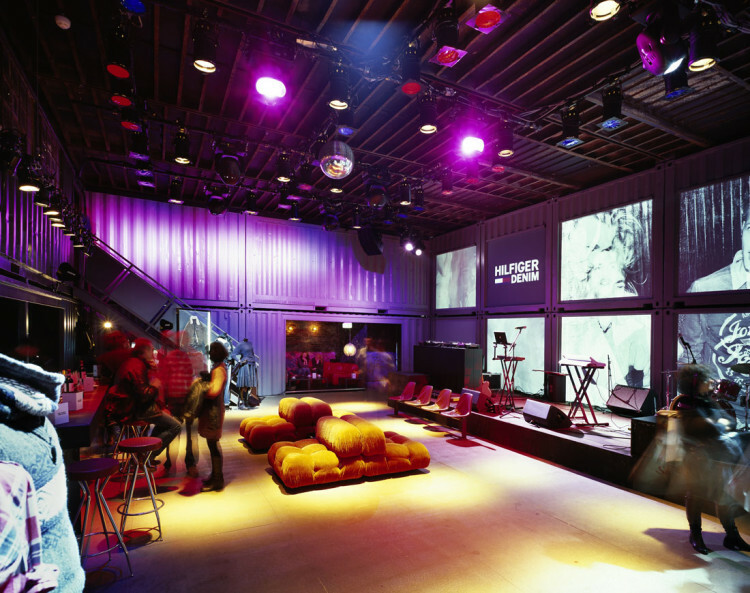 The staging consisted of a club door, a hallway required for fire protection reasons, a large club area with stage and screen, bar and catering area, and a VIP lounge.